I am proud I was able to learn English and to learn how to teach in English to achieve such feedback. All my professional story is available here, starting from the feedback from my students (the best proof of a professional success). The full list of publications on the methodology of teaching science. This is my motto! (more at http://www.GoMars.xyz/2020.html). I have been teaching a two-semester Elementary Physics course since 2007: such a long time coupled with intense reflection and improving had helped me to make a transition from being a TeachEr to becoming a TeachSmith :). Since then I wanted to place my lectures on the Internet. That would be in the direct following of one of my teaching principles - the openness of teaching. I truly believe that every classroom in the world should have web cameras installed and active 24/7. Nowadays, face recognition techniques could make to blur students faces, to protect their privacy, but there should be NO privacy for teachers - only when they teach, of course! People should see what teachers do, and how good they are at teaching. But I until recently had no guts to do it. My English is not perfect (I have no formal education in English, I learned it via books, records, radio and TV shows; and teaching does not really help to improve the language skills - I have never could say if students did not ask any questions because they understood everything, or because they did not understand anything; they would be too polite to point at my language mistakes; but usually there was at least one student who would say that sometimes it was hard to understand what I was saying because of the accent). As everybody else, I may have a bad day (a headache, or a stomach flu, or not getting my sleep hours, or just tired; the first week of the first semester is especially tough, since I have to speak very intense English after a long break). And, of course, everybody makes mistakes; mistakes are inevitable and unavoidable; but no one likes when people see their mistakes (when I tell this sentence to my students, I also add that there is no shame in making a mistake, there is a shame though in sticking to it; or that we all sometimes say something wrong, but there is nothing wrong in saying something wrong, what is wrong is to stick saying wrong things even when you already know that you are wrong). I always wanted to edit the captured videos, and then to place them in the open. Finally, one Summer, I made the decision to go through, and just to post the raw videos; no editing, no touching. Reflecting back on all my courses, this one was not the best, but also was not the worst. I realized that even with all my issues and deficiencies, and mistakes, and mishaps, many students still give me a very positive feedback about my teaching. This feedback is one the most rewarding parts of the teaching; it tells me that I do something right and good for students. The last evaluations from my students were “the last straw which broke the camel’s back” (meaning - good enough to encourage me to post all my videos and materials). the syllabus, lecture notes, lab manuals, and lecture videos. Unfortunately, sometimes the quality of sound was not great (still not sure, why; also, some files are much larger than others, even though the timing was the same for all lectures). If you watch the full video, it is not easy to see the slides and what is happening on the bench (when I do demonstrations; and every physics teacher knows, that a demonstration which perfectly worked a day before in the rehearsal could just stop working in a lecture); and when you watch the video with the slides, you cannot see many of the demonstrations at all. I wish I could develop a full course from scratch, and make it in the way I see it in my mind. For example, ideally it should be about twice longer, to include more demonstrations and more problem-solving exercises. This course may be useful for everyone who has never been taking physics and planning on taking an official physics course, and wants to get a general understanding of basic ideas and techniques. I would also strongly recommend this course to every middle school and high school science or physics teacher, coupled with my book: “Becoming a STEM teacher”. The links below lead only to the latest 2018 lectures, but YouTube also keeps lectures from the Summer of 2017. It may be interesting to compare the same lecture from two different years. For example, Summer of 2017 course was especially difficult for me. In the middle of the course I realized that this time every lecture was 10 minutes shorter than in the past. Over the course of the course I lost three full summer lectures (an equivalent of five (!) regular lectures given in a spring or in a fall semester). I had to redo all my lecture slides, fiddle with the homework and even labs - hence, a lot of the material was presented in a new untested form. The 2018 course was more or less traditional. When I am getting prepared to a lecture, I am playing in my mind various scenarios; I think about my actions, and students’ actions, and try to manage the lecture time in the most efficient way, which would allow the majority of students to understand the fundamentals of the topics we learn, and to grasp the basic techniques which are useful for solving related problems. Nowadays, every textbook comes with PowerPoint slides. But I do not like them, because they are just not good (the first issue is that it is just hard to read those slides from a distance). When I prepare my slides, I think about the color I want to use for certain words in a particular slide to manipulate with the students’ attention (unfortunately, after years of modifications my slides also need a “facelift”. When I am getting ready to a lecture, I think about what information is important for the lecture and use a large font for that (generic presentations supplied with a textbook are very hard to read, but I use pictures from some of those slides). I think about information I would only briefly mention in the lecture, and let students read it later (when the slides are posted online; so for this part I use a smaller font). I think about what should I do during the time when students are answering a question posted on the screen. I try to make sure that all three sources of the information Ѝ lectures, homework assignments, and laboratory exercises - would be entangled in the most efficient way, supporting each other. I try to build my lectures in a way which optimizes learning activities of students; I plan what students should do in the course of each lecture, and those actions should go beyond just “listen to a professor”. For years, my labs represent a combination of tutorials (guiding questions, small problems, making predictions for future comparison with the measurements), and taking and analyzing physical data. At the end of each lab students do a problem similar to one of the most confusing homework problems. Teaching fellows are supposed to be helping students with navigating through the lab, answering the questions, giving a regular feedback on their progress. When students ask me if an exam will be “hard” I always say that “hard” or “easy” are just not the right words to describe an exam. An exam needs to be fair and informative. An exam is NOT an IQ test, it will not test thinking abilities, but only the solid knowledge of the topics. My instructions say: “Do not spend too much time on any part of any problem. If you know what to do - do it, otherwise, move on, you can always get back to it later”. Usually I go through several versions of an exam, solving each version from scratch; since I do not need to think about the solution, I spend the time mostly on reading and writing; I try to keep my time around 20 minutes (for a 110-minute exam). Some students write in their official feedback that the course was “funny”. I suppose I do have a sense of humor. However, I never prepare any jokes specifically to make students laugh. I have seen some instructors who have been performing a “standup”, hoping to get good student evaluations. I don’t do that. When I teach, I have two goals. The first one, of course, is to teach some physics. But the second goal is to present students with some philosophical views on life in general. I do not lecture on philosophy, of course. But sometimes, if an interesting logical connection between physics and life pops up in mine mind, I say it aloud. Often students do not react at all. But sometimes, probably because for them the connection also was new and unexpected, they may give a laugh. From this day forward, the view of my latest teaching is available to anyone. Thank you for your feedback! Please, also feel free to inform me about any broken link. Introduction into the course. The fundamentals of physics and physical thinking. General description of motion; vectors. A definition of a mechanical force. Introduction to Newton’s Laws. Properties of the force of friction. Introduction to Energy and Work. Second Newton’s Law for rotation. Pressure. Atmospheric pressure. Continuity and Bernoulli’s equations. Force of gravity. Newton’s Law of Gravity. Temperature. Heat. Heat exchange. Heat-Balance equation. Introduction. Electric charge. Coulomb’s Law. Electric potential. Work done by electric field. Electric power. Resistors connected in series and parallel. Electric circuits. Introduction into magnetism. Ampere’s Law. Interacting wires. Electric motor. Motional EMF. Generating electric current. Eddy currents. Sound intensity. Light. Light rays. Two-source interference. 2-D standing waves. Bohr Model of a Hydrogen atom. the methodology of teaching science (physics). 7. What does “Thinking as a Physicist” mean? 9. What Math Skills do Students Taking Physics Need to Have? 11. What does it mean to be "smart?" 12. How much of “cyber” in “cyberlearning” and "cyberthinking"? 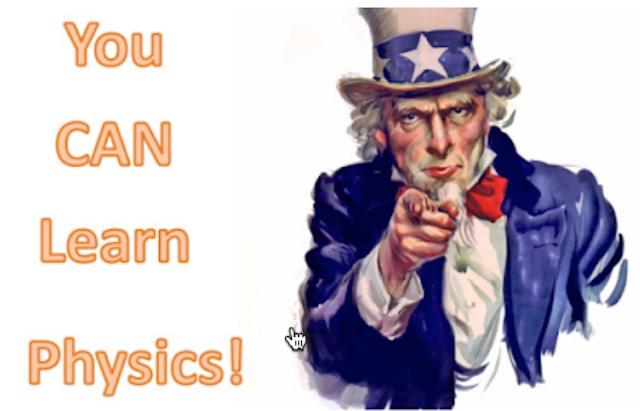 13. Who and why should learn physics? 14. What does a Teacher need to know about a Brain? 16. What is teaching? What is learning? Why Physics? Professional philosophy of a STEM teacher. 17. A Problem v. a Task; the Distinction Matters! 18. Thinking about becoming a STEM teacher? Think again! 19. What is the difference between a science and a religion? Really. II. Links to publications on the general methodology of teaching. 3. Becoming a STEM teacher: a crash course for people entering the profession. 3. What is the “Socratic Method”? 5. From being a Teach-er to becoming a Teach-smith. 6. How I flipped my class without even knowing it (a case study, works for everyone). 7. What is the mission of education (as a human practice)? 8. Why Did Russian Cyber Forces Beat Their U.S. Adversaries in 2016? The Answer Is Rooted In The State Of Education! 9. Do we really know if active forms of learning better than a simple lecture? 12. To test or not to test? This is NOT the right question! 13. An example of NOT being a teacher. 14. Developing the nation-wide database of the quality of teacher professional development programs, events, and providers. 19. How Can the U.S. Army Solve The Shortage of Qualified Recruits. 21. How is U.S. education reform entangled with U.S.S.R.
24. What is so special about being a Scientists? 2. "The Backpack Full of Cash": pointing at a problem, not offering a solution. 3. XQsupesrschool – a blessing or a waste of money? 4. Why have hundreds of millions of dollars been spent on developing the common core math standards if most people had not really wanted them? 10.How much of the NSF funded fundamental scientific educational research is really fundamental? 11.Appearances can be deceiving, in education, too. 13.Treat Education Like Space Exploration - the diagram.